Slot diffusers direct the air from air conditioning systems into the room, either horizontally or at an angle. 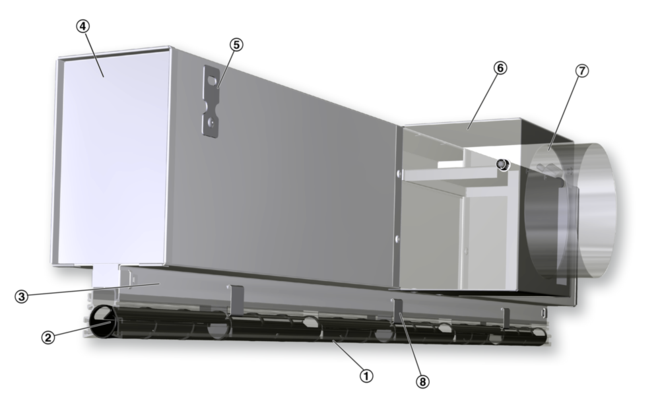 The resulting airflow induces high levels of room air, thereby rapidly reducing the airflow velocity and the temperature difference between supply air and room air. The result is a mixed flow ventilation in comfort zones, with good overall room ventilation, creating only very little turbulence in the occupied zone. 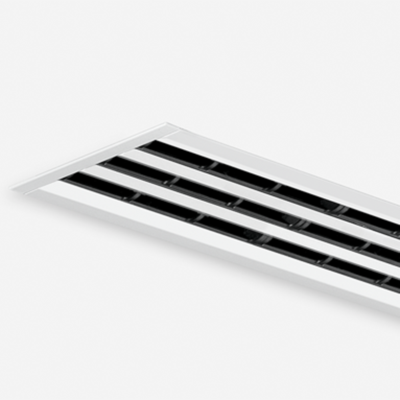 Type VSD35 Varyset slot diffusers have adjustable air control elements. The air pattern can be adjusted to meet different local requirements. Air discharge is one-way or alternating horizontal. Heating mode with angled air discharge is also possible. The supply air to room air temperature difference may range from –10 to +10 K.
Each diffuser requires for a stable horizontal air pattern in cooling mode a certain minimum volume flow rate; this minimum flow rate depends on the supply air to room air difference. If the actual volume flow rate is lower than the required minimum, the supply air does not adhere to the ceiling long enough, or not at all, but 'falls' immediately vertically into the occupied zone. This may result in draughts. 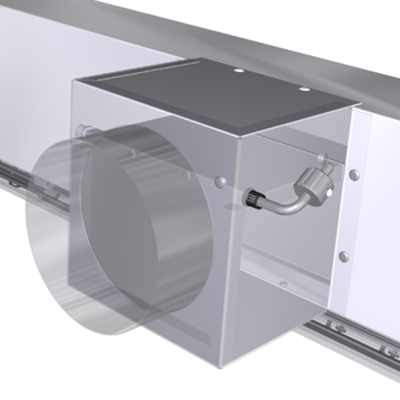 The Varyset diffuser allows for smaller minimum volume flow rates and hence for larger variable volume flow rate ranges. The discharge velocity is reduced more slowly with decreasing volume flow rates when a Varyset diffuser is used. This ensures the self-powered Varyset flap within the plenum box. At the minimum volume flow rate the Varyset flap remains closed, and the supply air is discharged through only 25 % of the total slot length. As the volume flow rate increases, the Varyset damper opens due to the dynamic pressure. 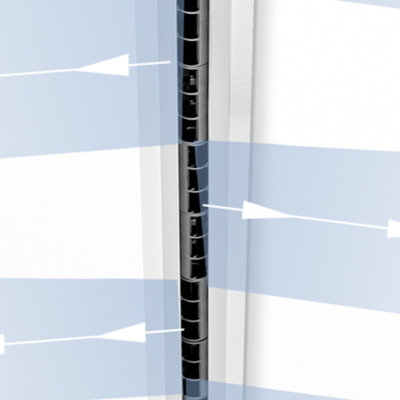 More and more air flows through the remaining slot length. 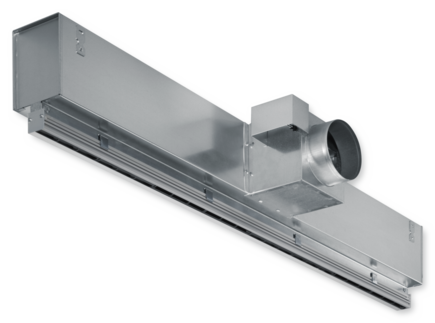 Slot diffusers with individually manually adjustable air control elements and an aesthetically shaped face section with one to four slots, for one-way horizontal, alternating horizontal or alternating angled air discharge. For supply air, for large variable volume flow rate ranges. For installation into suspended ceilings. Ready-to-install component which consists of the diffuser face with individually adjustable black or white air control elements, and of a plenum box with side entry spigot, self-powered Varyset flap and suspension lugs. Spigot suitable for circular ducts to EN 1506 or EN 13180.